Towson posted its second-highest score in East Atlantic Gymnastics League (EAGL) Championship history behind a first-place finish from junior Mary Elle Arduino on beam at SECU Arena Saturday evening. Towson finished fourth in the event with a score of 195.675 which was behind first-place N.C. State, second-place New Hampshire and third-place George Washington. 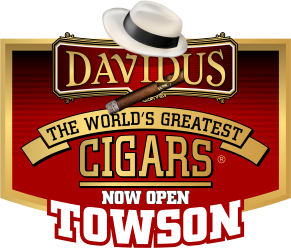 Towson finished in front of Pittsburgh and North Carolina, who finished fifth and sixth, respectively. On floor, Gabriella Yarussi led the Tigers with a fifth-place finish and a score of 9.900. The senior helped the Tigers score a 49.100 in the event, while sophomore Melissa Temkov and junior Cortni Baker both scored a 9.850 to finish 12th. On vault, Yarussi continued to lead with a 9.850, earning a career-high score and fourth-place finish. Freshman Kyla Gamble and senior Tyra McKellar each placed 13th with a 9.800, with Gamble also earning a career-high score. “To see so many of our gymnasts have some of their best performances at a championship meet like this, against such good competition, was awesome for us as coaches to watch,” May said. On the uneven bars, freshman Tess Zientek placed 12th with a 9.800, while McKellar finished 15th with a 9.775. Noelle Harada also returned for bars after missing most of the season due to injury. The Tigers put their best performances out on beam, as Arduino became the first Tiger to earn a first-place finish at the EAGL Championships in two years. She scored a 9.950 to tie her own school record, while Yarussi and McKellar both finished in the top-10, placing fourth and 10th respectively. “To be the only team that is not fully funded in terms of scholarships, facilities and coaching staff, and to finish very close to the top three is a big accomplishment for this team and this program,” May said. In the all-around, McKellar placed sixth with a score of 39.175. Several Tigers earned All-Tournament first and second team honors at the Championship. Yarussi earned first-team honors on floor, vault and beam, while McKellar earned first-team in the all-around as well as second-team in vault, bars and beam. Arduino also earned first-team honors on beam, while Temkov and Baker earned second-team on floor. Gamble earned second-team honors on vault and Zientek earned second-team on bars. The EAGL Championships completed the team portion of the gymnastics season. 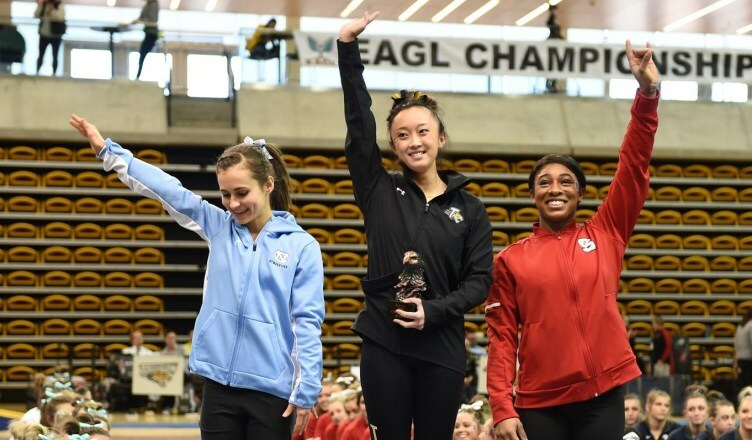 Towson will wait to see if any of its members qualified for the NCAA Women’s Gymnastics Championship, which will be hosted at Stegeman Coliseum at the University of Georgia on April 2.